The National Investigation Agency (NIA) has kick-started the process of removing the online contents of banned Islamic Research Foundation, including alleged hate speeches by its founder Zakir Naik. "As part of investigation, all actions that need to be taken against a proscribed organisation, including banning of its online activities, are being undertaken," said an NIA spokesperson. After the Centre recently banned IRF for five years, its website was blocked by authorities. "We have started our process to remove online content which is available on internet, social media sites related to IRF which includes hate speeches of its founder and Islamic preacher Dr Zakir Naik," the official said. Search operation is still going on at the IRF offices and premises as well as that of Harmony Media Pvt Ltd, from where the programmes were being aired on Naik's Peace TV, the official said. However, he declined to divulge further details. 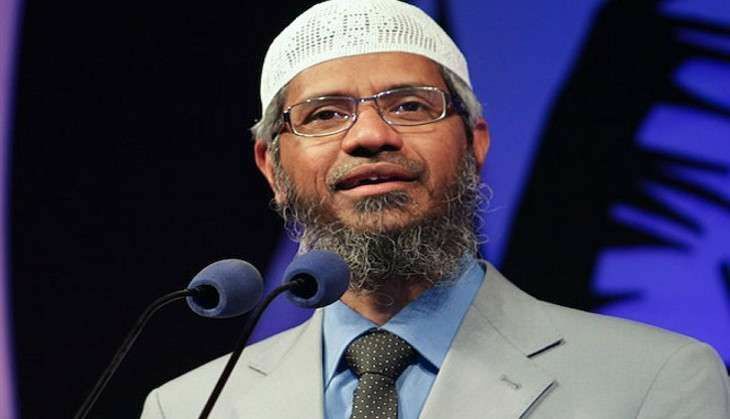 The NIA had on 19 November carried out searches on 10 premises of the IRF in Mumbai after registering a case against Zakir Naik and others under an anti-terror law. The agency had seized Rs 12 lakh cash and incriminating documents, files as well as electronic storage devices, during searches on various premises, including IRF's head office. The NIA had earlier registered an offence against IRF founder-president and controversial Islamic preacher Zakir Naik and his associates for "promoting" enmity and hatred between religious groups through his public speeches and lectures on various platforms. As per a statement released earlier, Naik and his associates were responsible for inciting Muslim youths and terrorists in India and abroad to commit unlawful activities and terrorist acts.